Installing under floor heating can keep period homes at a comfortable temperature and being a discreet system, it is more effective alternative to fitting radiators that may not suit your traditional style home. This type of heating provides a constant and gentle heat which is better for historic buildings in comparison to other conventional methods. Underfloor heating is particularly suitable for bathrooms, kitchens and wet rooms. The two types of heating are electric and water based, the electric tends to be more suitable for refurbishments and extensions while the water based is preferred for new builds. You could save large amounts on fuel bills sometimes as much as 40% by investing in under floor heating. 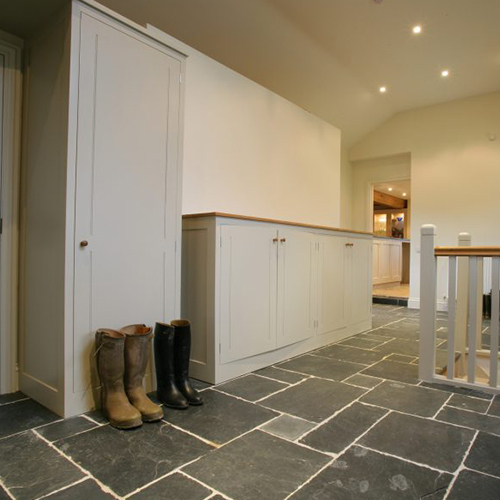 Underfloor heating is suitable to use with a variety of flooring (provided they have been prepared correctly) including tiles, carpet, natural stone and timber boards.